The vexed citizenship tangle in Assam. The Supreme Court has expressed readiness to hear a whopping and unprecedented 5,298 cases which figure in its notice for ‘Advance Regular Hearing Matters List’ for summer vacation of the court from 5th May, 2017 to 2nd July 2017. These are apart from the three constitution benches that will sit during the same time to hear grapple with complex issues such as the legality of triple talaq and the right to dignity of Muslim women, WhatsApp's implications on citizen's right to privacy and the vexed citizenship tangle in Assam. The circular issued by the Registry yesterday said “Some of the matters shown in the Advance Regular Hearing Matters List are matters already appearing in the Weekly/Daily Lists and those matters which are taken up for final hearing before the commencement of the Summer Vacation, 2017, will be deleted from the List”. “If any Ld. 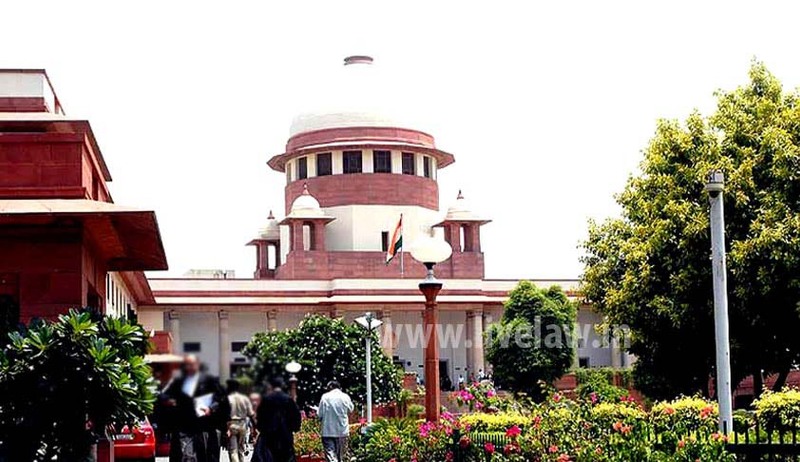 Counsel or the party appearing in a matter, does not want to take up any of the matters mentioned in the Advance Regular Hearing Matters List, other than the matters which are directed to be listed as per the direction of the Hon'ble Court, may give their written request to the Additional Registrar(Listing), on or before 28.4.17 after serving a copy thereof on the other side, for not listing the matter before the Vacation Bench during the Summer Vacation, 2017”. In addition to the above categories of cases, ready cases of Admissible Categories in which consent of parties/counsel appearing on both sides to list the matters during vacation is given, will also be listed before the Vacation Bench and such request may be required to be given to the Additional Registrar(Listing) on or before 28.4.17. Ld. Counsel/Parties may get themselves ready to present their respective matters on the dates on which such matters are listed before the Vacation Bench. Dated this the 1st day of April, 2017. At the outset of March 30 hearing during the triple talaq matter when Chief Justice J S Khehar broached the issue of setting up three constitution benches simultaneously during the summer break, senior lawyer Kapil Sibal and Attorney General Mukul Rohatgi had raised certain objections. While Sibal said he is involved in most of the matters and it would be impossible to prepare for such complicated issues in such a short time, Rohatgi had said generally as per convention, vacation matters are fixed with the consent of the Bar. "What is the problem? I have been working during summer vacations last two years. In 2015 we heard NJAC during vacations. But well if you are not readyv I am only happy to enjoy my vacation", he said after which all lawyers agreed to the vacation schedule. "We heard NJAC during a vacation and formed a time-frame. Ifa matter like NJAC can be heard during vacations then any matter can be heard" , said CJI Khehar. "If you don't want us to hear it, we won't. Then these cases won't get heard for years. Then don't blame us. Don't say pending cases, arrears," the CJI said. Justice Khehar insisted that the benches will hear the three important cases side by side. "There shall be no change," he added.